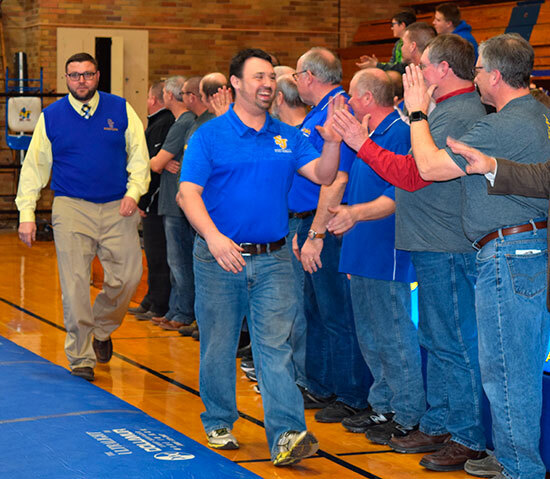 Doug Milligan Jr. gives high fives Tuesday evening where the St. John’s wrestling alumni was recognized along with seniors. Current head wrestling coach Derek Sterling follows behind Milligan. 2019 marks 50 years of the Blue Jay wrestling program.